Parachute flies like the Grey Klink float down to the surface and sit on the surface film because of the para hackle. 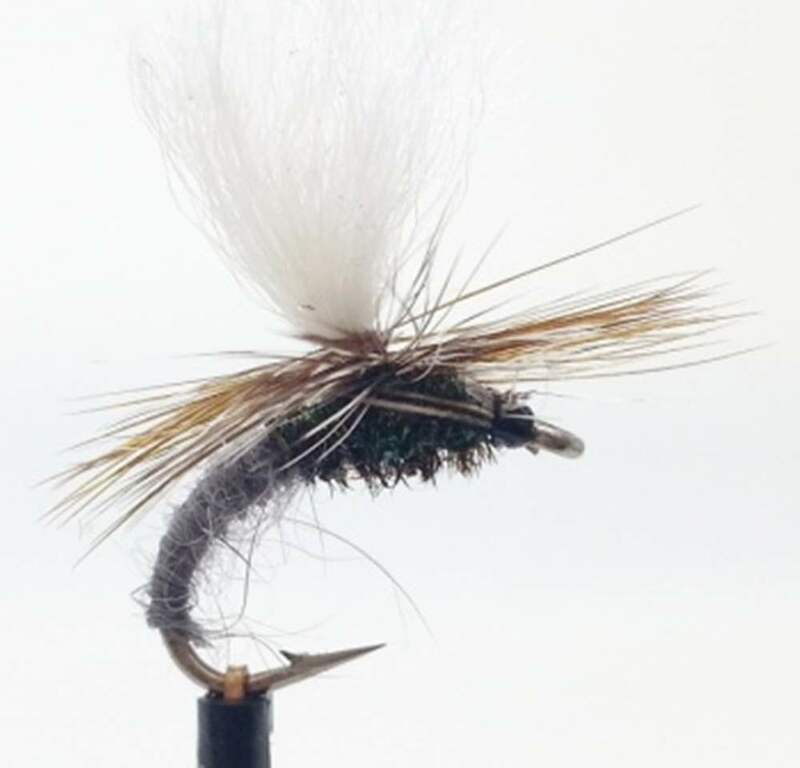 Parachute flies are deadly style of dry flies because of their profile. Very pleased with recent purchase and the fast service. Fly look s great and I'm looking forward to using it. Thanks very much for the prompt delivery of my order. Comprehensive selection and great service. I am very pleased with the handling of this order and the quality of the flies. A well tied pattern, not over dressed that worked well on the rivers this past season, so I came back to top up my fly box. At 63 I don't see a floating fly as well as I used to. PA is a fantastic fly as not only can I see it but fish love it (Norfolk chalk stream). Well tied from quality materials. I'll fish them with confidence.